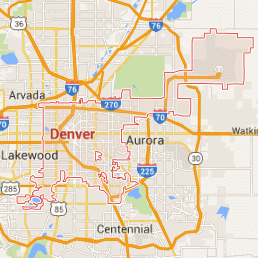 Whenever you need professional assistance as these situations occur, you can count on the water damage Wheat Ridge specialists from 911 Restoration Denver to lend you a hand. When the team arrives, we will conduct a free assessment of the current condition of your property. When the leak’s source has been identified, we will provide you with our recommendations on the best course of actions and provide you with an affordable price for the services you need. Water damage can sometimes occur when you least expect it. Pipe bursts are known to occur in dead night or even in the wee hours of the morning. Luckily, 911 Restoration will always be available 24/7/365 to offer on the day assistance for your convenience. With over 35 years of experience in dealing with all kinds of water emergencies, our repair and restoration services will give you and your home a fresh start! When water manages to get into your home because of a roof leak or pipe burst, your home could be in danger because of mold growth. 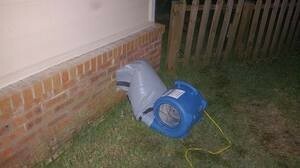 That leak will create a moist environment where mold can thrives. The best way to deal with mold growth is by having professionals from 911 Restoration patch up that leak right away! Our licensed, insured, and bonded team will conduct a free visual inspection of your home to search for any signs of mold growth and to locate the source of the leak. We will be using our advanced drying equipment to remove water and moisture out of your home thoroughly and our water damage Wheat Ridge specialists will be patching up the leak to prevent any future problems. 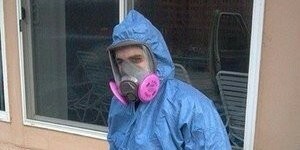 When we detect signs of mold, our IICRC certified technicians will be providing remediation services. We use eco-friendly cleaning solutions that will thoroughly expunge any trace of mold within your home. This will also include any spores it may have released. It is the culmination of our certifications, training, equipment, and dedication to helping homeowners that allows 911 Restoration to offer the highest level of water damage restoration services. Whenever your home has sustained water damage in the form of a roof leak, pipe burst, flood, sewage backup, or mold growth, let 911 Restoration take care of it for you. Water manages to get into your home because of a ceiling leak, hose rupture, pipe burst, flooding, or sewage backup, it could spell disaster. 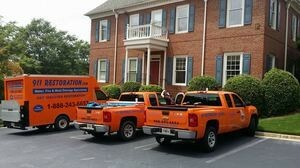 We will be providing you with a quick and reliable response that will help patch up that leak and will help in avoiding any further issue like mold growth, wood rot, and flooding from harming your home. Once you call, you can expect you to be there within 45 minutes, an industry-leading response time. Let us give your home a fresh start by giving our water damage Wheat Ridge team with 911 Restoration Denver a call today!